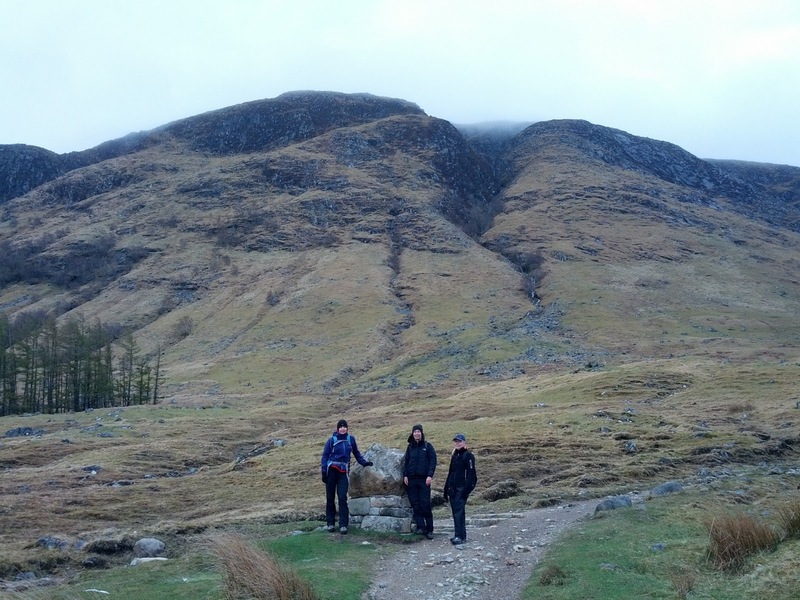 On my list of walks to do in 2013 was hiking Ben Nevis, the tallest mountain in the UK So last weekend me and a group of friends travelled to Fort William to conquer the tallest mountain in the UK, the mother of all walks and boy were we in for an adventure. The weather forecast kept showing us a cloud with raindrops no matter how many times we checked it. Those raindrops were predicted to fall in the afternoon so we set off early, booted and suited and ready to get wet. The first zig we had to shuffle through a patch of snow and at the following the zag the path was completely snow covered. When we turned to the next zig there was no path. Just foot prints in the snow which were showing us the way. Suddenly the wind picked up and those promised raindrops started lashing down. Clouds gathered round and suddenly all we could see was white snow and white sky. All other hikers seemed to have suddenly disappeared off the mountain somehow. It was just us, the mountain and the atrocious weather. As we were trying to put on our waterproofs which is really hard when they're flapping around in 50 kmph winds. We were debating whether to go on or turn back. 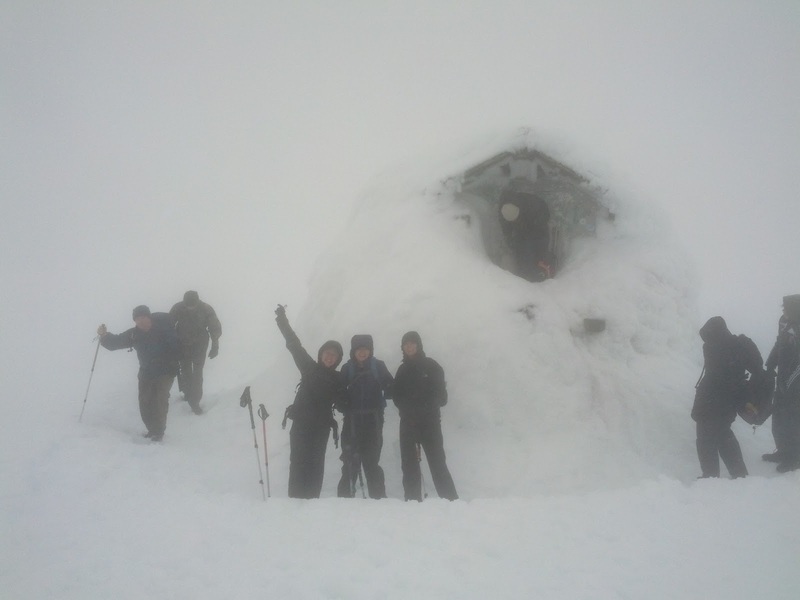 Just when we decided we didn't want to be plucked off Ben Nevis by mountain rescue we saw a group of hikers appearing out the fog on their way down. 'You're not far, only ten more minutes', they said. Reassured that we weren't being completely stupid being out there in those harsh weather conditions we went on. We admired the foggy view, took some hasty photos and then quickly started our descent, sliding down the mountain as fast as we could. Back in the car, toasting to our accomplishment with the champagne we bought at the Co-op especially for the occasion, we felt extremely proud of ourselves. Not only did we hike Ben Nevis all the way to the top, we did it in proper Arctic like conditions. We sure did deserve that bottle of champagne. Even if it was from the Co-op. I would love to hike to the summit of Ben Nevis one day. Congrats. Love the summit photo. It's not quite like your Everest, but I felt pretty proud!